A new 'Act of Union' Bill offers either a false choice between an English Parliament and devolution. We need both - and Labour should join the conversation. On St George’s Day 2011, I wrote an article that highlighted the need for Labour to say “England” – and for Labour to offer a manifesto for England at the General Election. Move forward seven-and-a-half years: Labour still finds that inability to say “England”, and the English Labour Network’s submission to the Labour Party Democracy Review – calling for a Labour Manifesto for England – was rejected. Other events have taken place during the last seven-and-a-half years: two General Elections, the Scottish Independence referendum, and the Brexit vote. I voted Remain myself: I perceived that, whatever the problems with the EU, it was better to remain inside, building whatever alliances across the EU that were possible and necessary to achieve meaningful change. Many other voters in England, outside London, decided that Leave was the best option. The reasons for the Leave vote are myriad and complex. But one phrase seemed to resonate more than others: “Take Back Control”. This is with good reason. England is the most centralised country in Europe. No democratic institutions give the voters of England agency in their lives, outside the five-yearly vote for MPs to Westminster. Furthermore, local government is emasculated in a continual drive towards centralisation. It is no co-incidence that the transformation of Empire to Commonwealth coincided almost simultaneously with the start of the attack on local government. It is possible, but not yet definite, that Brexit will lead to the dissolution of the union between England, Scotland, Wales and Northern Ireland. My fear here is that England, left alone after dissolution, will further be dominated by Westminster and Whitehall – with further emasculation of local government. The irony must be clear to see: voters demanded to ‘take back control’, only for Westminster and Whitehall to become more controlling, more authoritarian, more intrusive. Some have already seen the danger signs. Lord Salisbury’s Constitutional Reform Group (CRG) drafted an Act of Union Bill that was introduced as a Private Bill to the House of Lords by Lord Lisvane this October. 2. Leaving the current House of Commons legislating for England, maintaining ‘English Votes for English Laws’, and utilising City Deals and Regional Devolution. The options are presented as either-or; the reality is that both are needed. An English Parliament established on its own would become another remote and centralised institution, especially if based in London. Yet the Regional Devolution approach still denies a voice for all-England concerns, reducing the determination of whether legislation is England-only or union-wide to Parliamentary procedure, and the whim of the Speaker. A solution for England is made up of three sides of a triangle: local, regional and all-England. All linked to each other, all in tension with each other. Too much tension on one side, or not enough on another, and the triangle collapses. “In England something more fundamental has been lost, and that is a Labour language and culture which belonged to the society it grew out of, and which enabled its immersion in the life of the people. That hegemony was about community, work, country and a sense of humour. One reason often given for the refusal to grant England a political identity is that it will fan the flames of English nationalism. Indeed, English nationalism has been blamed for the Brexit vote. As pointed out by Anthony Barnett, however: “Brexit was not driven by English nationalism; it was sucked into its victory by the absence of English nationalism.” There was no “England Stronger in Europe” campaign. The irony is twofold: If England had its own democratic institutions, and the voters of England felt that they had agency over their lives, the Remain campaign may have won. And the brand of English nationalism that rears its head now could have been stifled. 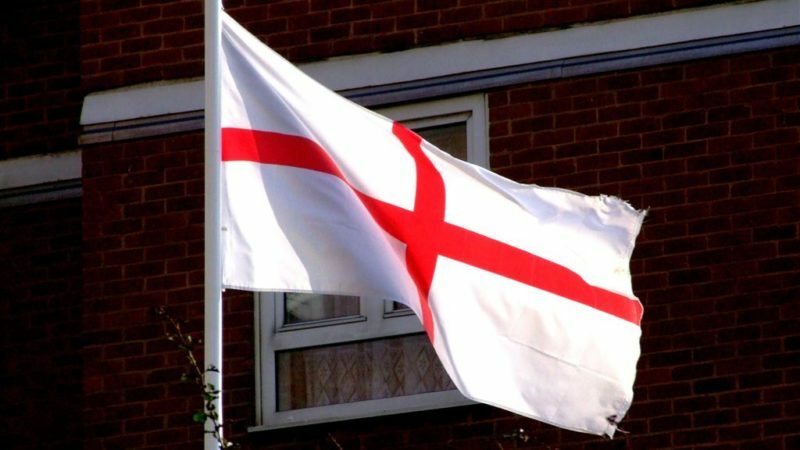 The desire for self-determination and self-governance for England does not equate to English nationalism; it only becomes nationalism if it is not inclusive. Labour is the only party that can currently fulfill that role, but the leadership must do more. As many core voters have stipulated, they have not left the Labour Party, the Labour Party has left them. Dave Dyke is an academic and a supporter of the English Labour Network.